Penrith MP Stuart Ayres is banking on his track record to ensure he retains the seat at next year’s State Election and says he wants to be the Member for Penrith for the next 10 years. Today marks eight years since Mr Ayres’ landslide victory at the 2010 Penrith by-election. 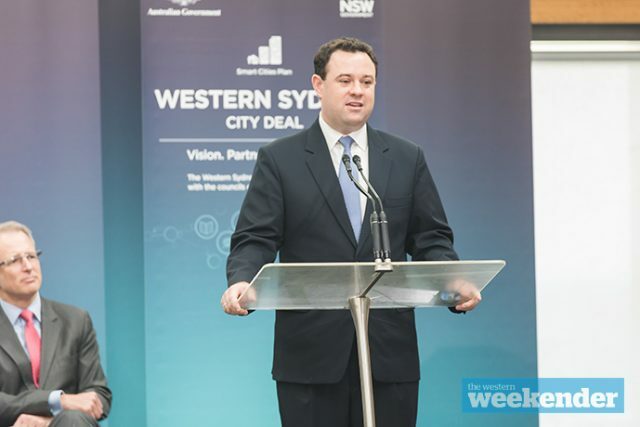 Since then he has risen through the political ranks and now sits as Minister for Sport, Minister for Western Sydney and Minister for WestConnex. 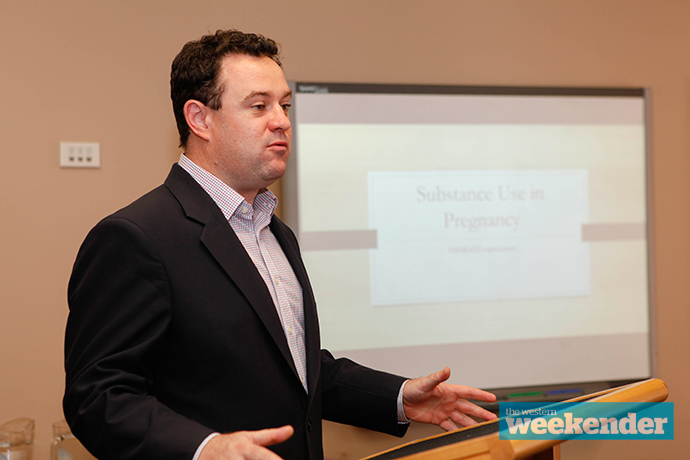 “Eight years ago my commitment was to do the things that hadn’t been done for years,” Mr Ayres told the Weekender. Labor has placed the experienced Karen McKeown, a former Penrith Mayor and current Councillor, against Mr Ayres at next March’s poll. It’s likely to be a close battle, but Mr Ayres believes a change would be the wrong move. 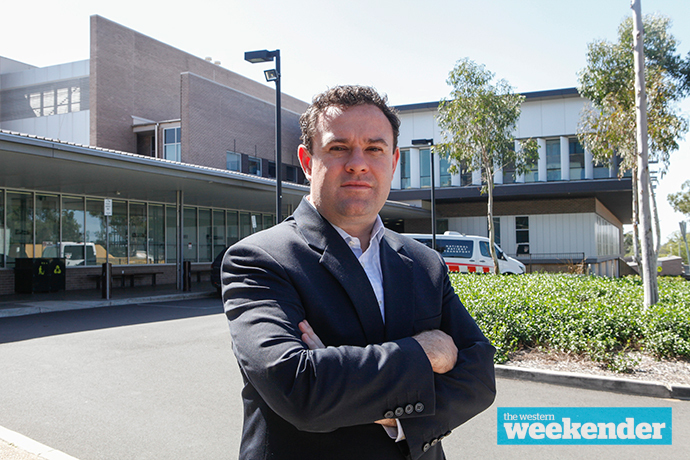 “Every time I see Labor I see one of those big red road signs that say ‘Wrong Way Go Back’,” Mr Ayres said. “Changing for the sake of changing gave us Kevin Rudd. I don’t think Labor are ready, they have no plan for Penrith or NSW and are just too risky. Mr Ayres knows he has a fight on his hands but believes what he’s delivered for the local community over the past eight years, and what is in the pipeline, should be enough to get him home. “I’ll be working all the way to election night but I think people can see my track record for delivering,” Mr Ayres said. But challenges remain. There’s a good chance commuters for example will be vocal at the ballot box next year with the new train timetable released in November last year deemed a failure by many. Despite poor on-time running results since the timetable was introduced – and trips to the City now taking longer – Mr Ayres is still confident in the changes that were made. “The new timetable added services and did alter other services. I think on a whole most commuters have settled back into a rhythm,” he said. Mr Ayres is also at the centre of one of Labor’s key campaign messages heading into the election, with Opposition Leader Luke Foley strongly pushing against the huge spend on stadium upgrades at Homebush and Moore Park. As Sports Minister, Mr Ayres is very much in Mr Foley’s firing line. “I’ve learned sport and politics will always fill column inches in newspapers,” he said. 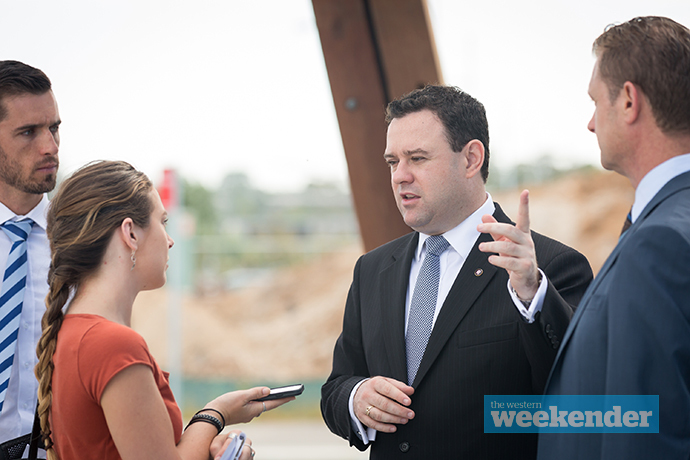 Later this year – before the election – Mr Ayres will officially open the new pedestrian bridge across the Nepean River. It will be something of a ‘full circle’ moment given how critical the issue was back at that 2010 by-election eight years ago. “It was probably the biggest issue in Penrith back then,” he said.